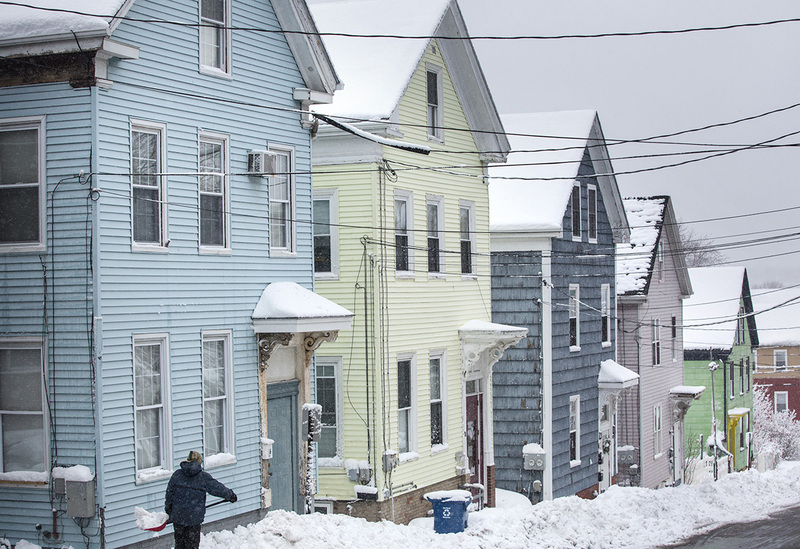 Brian Greene of Portland shovels the walkway in front of his home on Smith Street on Wednesday. Heavily snow-covered trees frame a view of Memorial Bridge around Wednesday morning in Augusta. 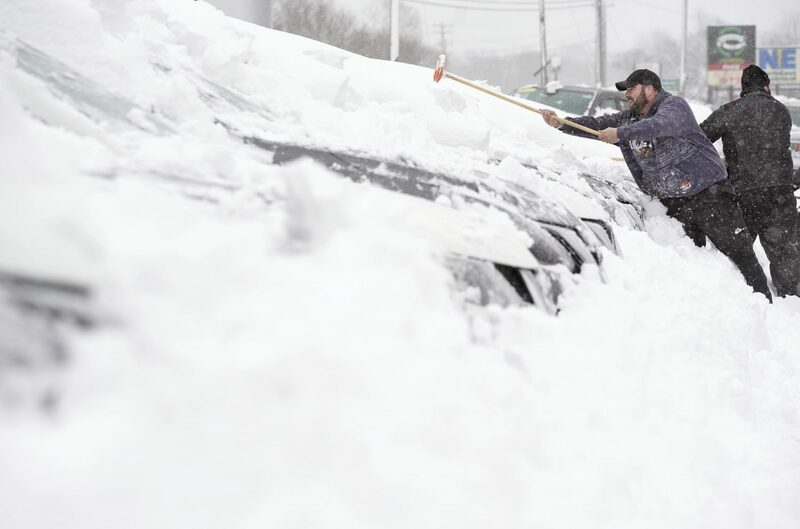 Stewart Stone, a sales consultant at Marc Motors in Sanford, clears snow off a Nissan Rogue at the dealership on Wednesday. Shane Fenderson, a sales consultant at Marc Motors in Sanford, clears snow off cars at the dealership on Wednesday. 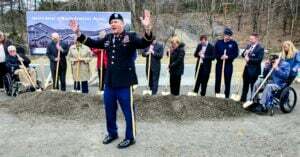 "It's all hands on deck, everyone shows up," Fenderson says of snow-clearing days at the dealership. 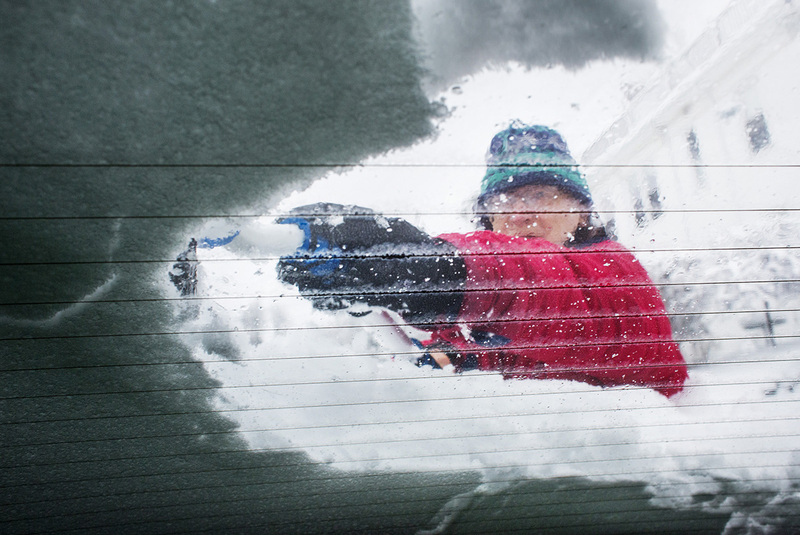 Bruce Brown of Portland clears wet snow from the rear window of his car on Wednesday. 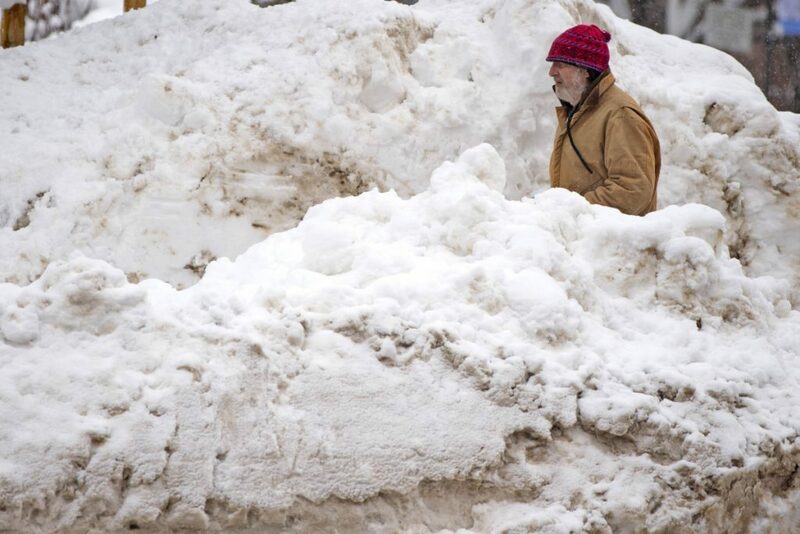 A pedestrian walks through a snow bank cut out to accommodate the sidewalk on lower Main Street in Waterville on Wednesday following a nor'easter that dumped more than a foot of snow across the region. 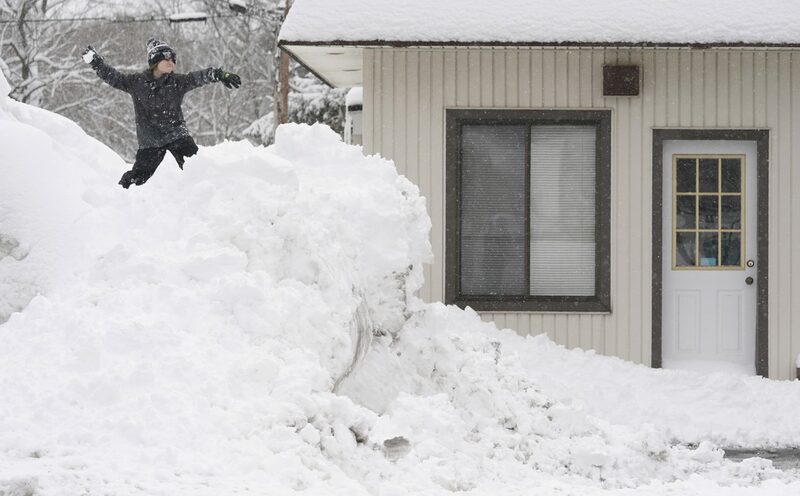 From atop a large pile of snow, Drew Vessels, 8, winds up to throw a snowball at his father, Dan, in Sanford before heading to school on Wednesday. 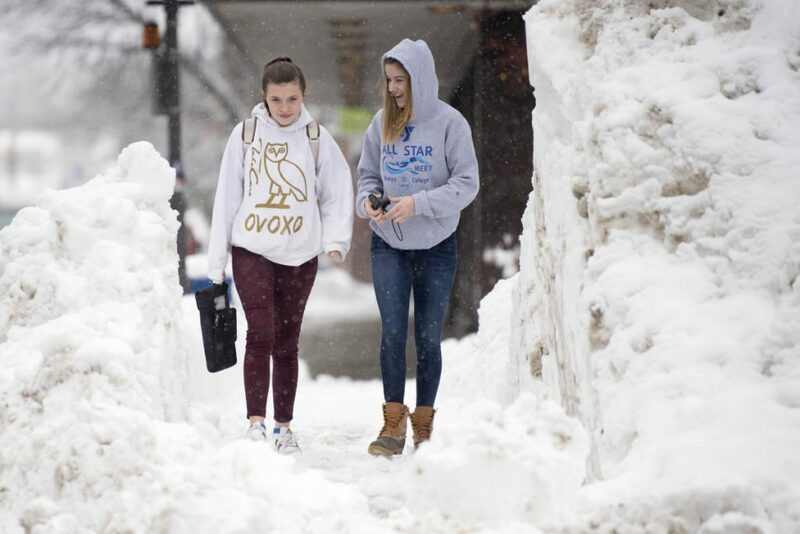 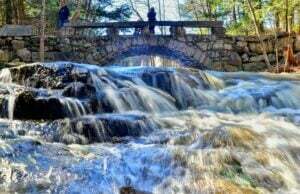 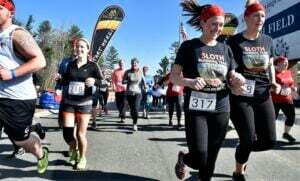 Sanford has been one of the hardest-hit towns in southern Maine, receiving a total of 45 inches of snow in the past two nor'easters. 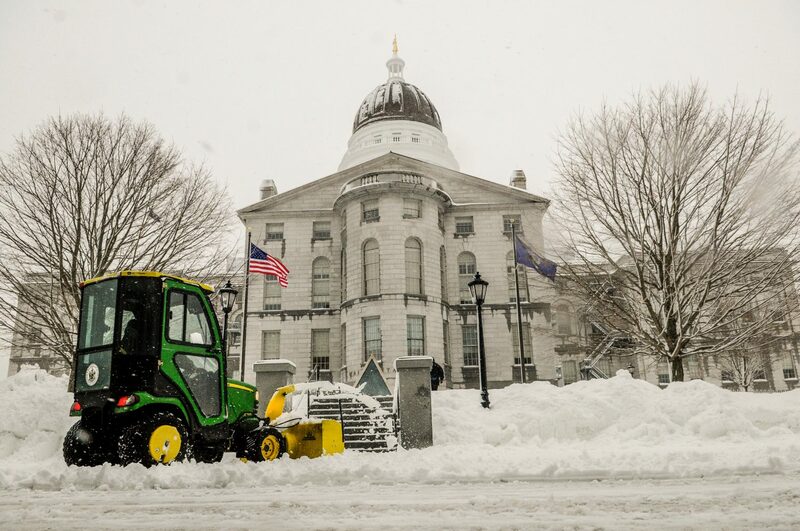 Norman Cummings runs a snowblower in front of the Maine State House in Augusta on Wednesday. 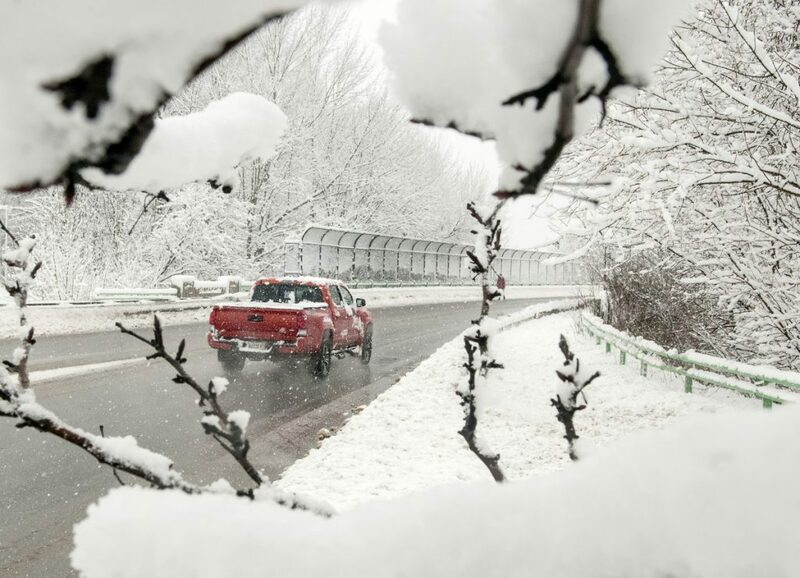 It was still snowing in the morning as people in the capital region dug out from second nor'easter in a week. 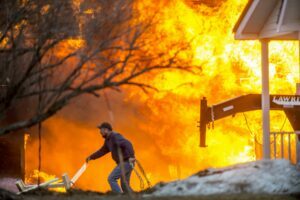 Scott Stevens was part of the crew cleaning and moving new cars for sale at Quirk Ford Wednesday morning in Hallowell. 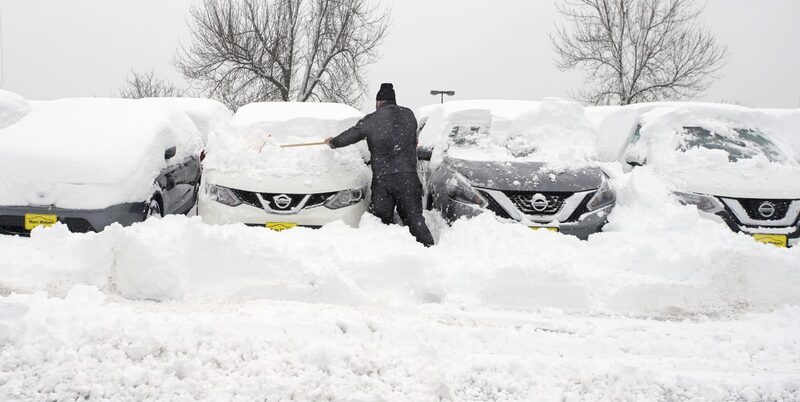 Car dealership workers had to clean off all the cars, move them so that the lot can be plowed and then replace them in original line up. 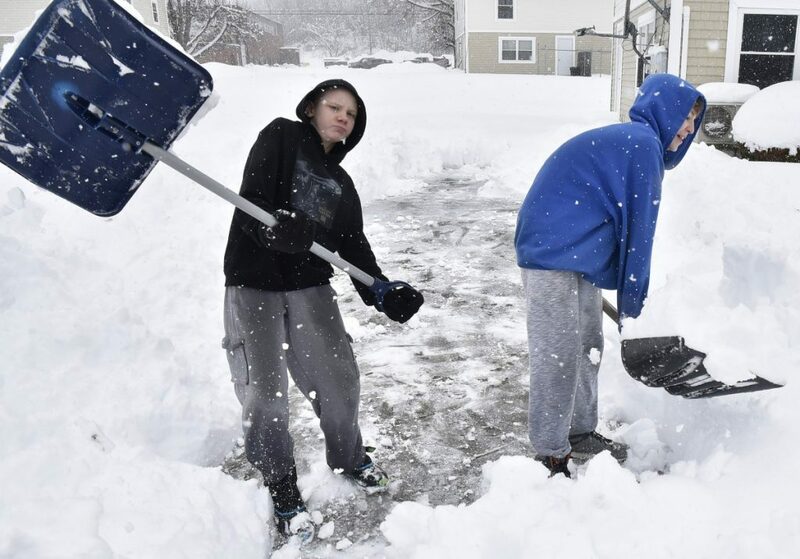 Chad Decker, left, and Vanessa Fox teamed up and shoveled sidewalks in Waterville on Wednesday following a nor'easter that dumped more than a foot of snow. 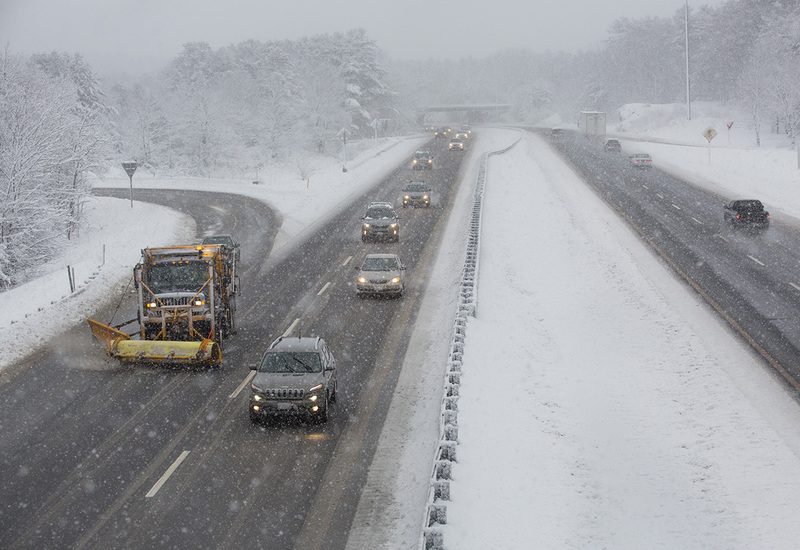 Vehicles pass a Maine DOT plow on the southbound side of I-295 near exit 10 in Falmouth on Wednesday as snow continues falling during the morning commute. 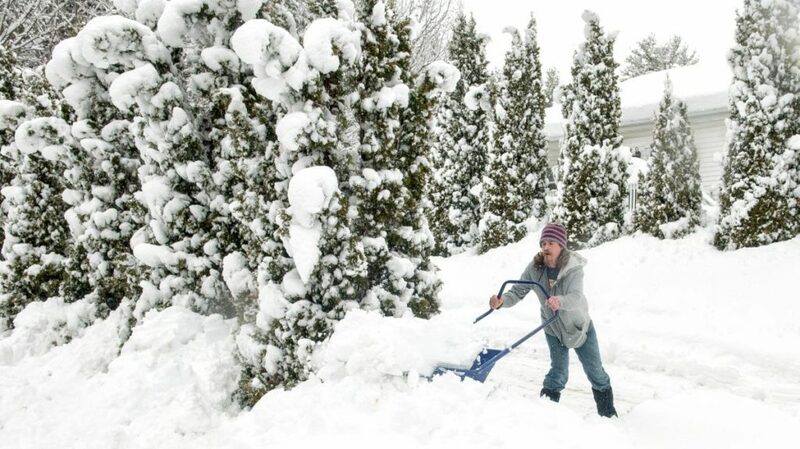 Denny St. Pierre pushes snow past trees while cleaning off a driveway Wednesday morning in Manchester. 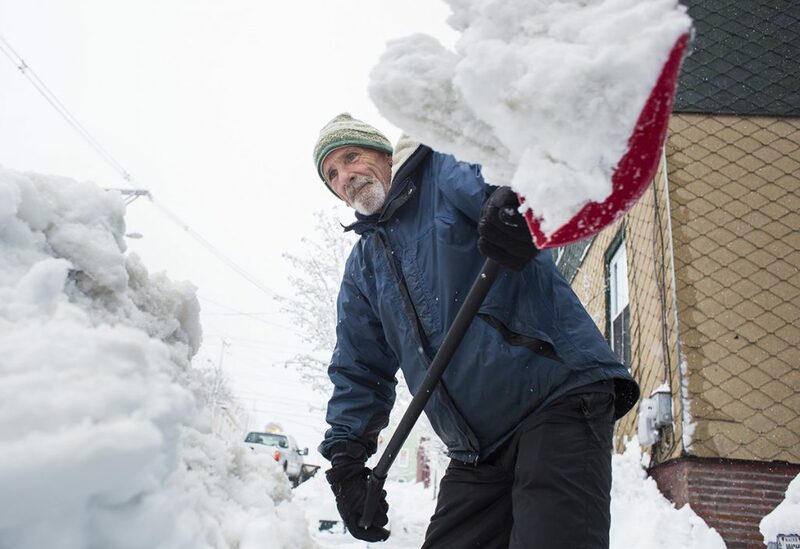 People in the capital region were digging out after the second nor'easter in a week. 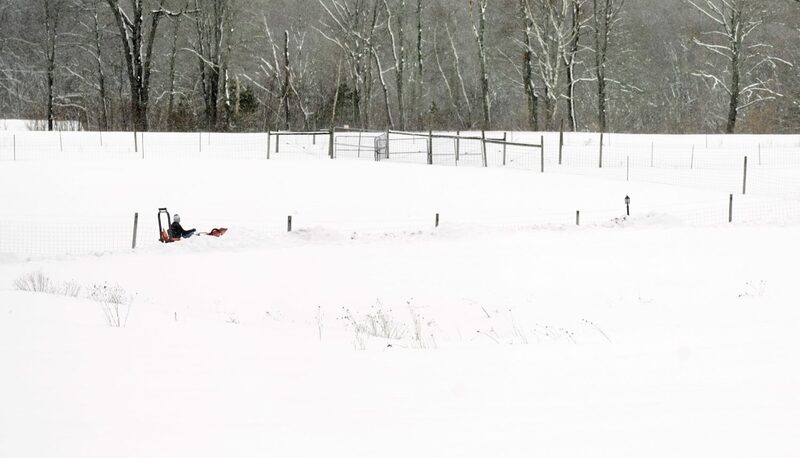 Among snow-covered fields, Walter VanBuskirk uses a tractor to plow snow in the driveway of his Kennebunk farm on Wednesday. 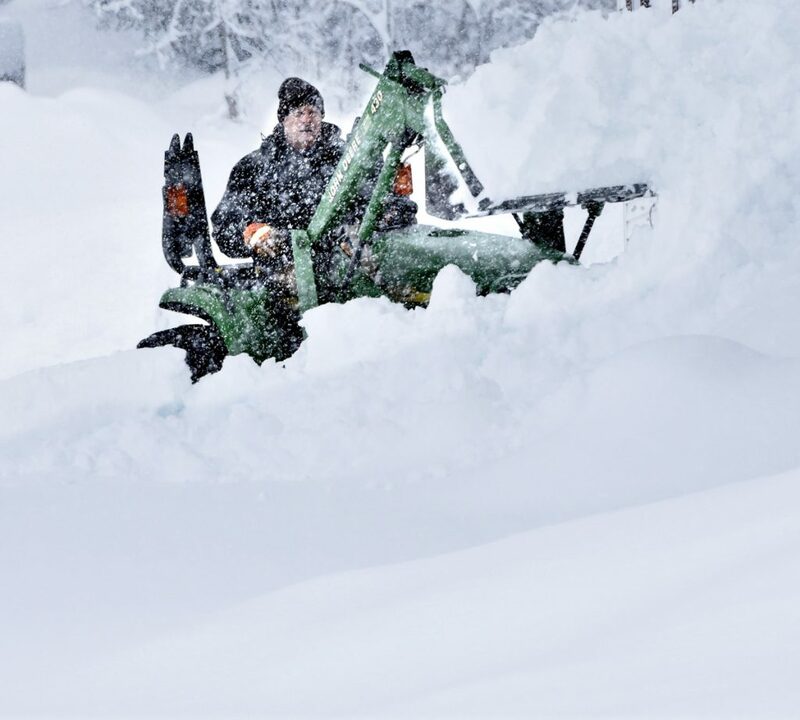 Roger Belanger had his hands and bucket loader full moving snow from the most recent nor'easter storm at his home in Unity on Wednesday.